Proglifting Trance FL Studio Template by AYDA available at myloops.net ! If you are producing uplifting / progressive trance music in FL Studio and would like to learn new tricks, get inspired and / or improve your sound faster, this template is for you. This template was created for Myloops by talented producer AYDA (who is known for such releases as “Centurio”, “Resurrection”, and “Pharaoh” on labels such as Armada Music, A State Of Trance, Arisa Audio and Alter Ego Records). 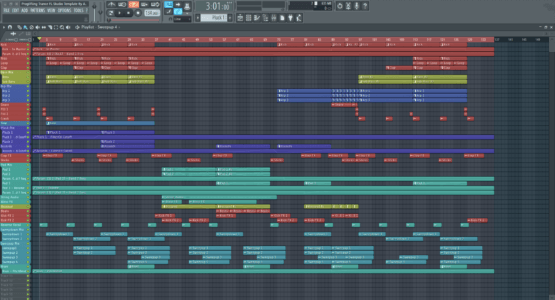 The FL Studio Template comes loaded up with the arrangement (as heard in the audio demo), mixing, FX chains, MIDI data and automation. It all comes loaded with all the samples and synth presets so you will get what you hear in the demo if you have these synths. It can be used as a base for your upcoming tracks or as an educational and inspirational tool. Awesome project!! Loving the energetic intro drive, a beautiful melodic progression, leading up to an explosive drop!!! A great way to study step-by-step an exceptional Trance template. The breakdown has an epic feel to it, perfect way to blend orchestral music with Trance. Truly an amazing production that’s for sure! !